Sidney Dance Company The Show Must Go on! 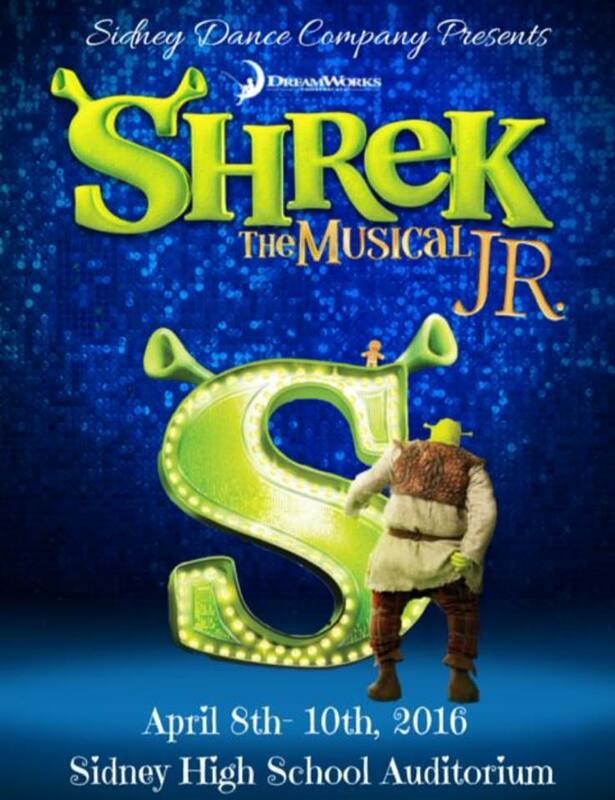 The Sidney Dance Company presents Shrek The Musical Jr.
Take a trip to the Swamp of Shrek, the Land of Duloc, the Dragon’s Lair, and Fiona’s tower! Get your pre-sale tickets now at Sharon’s School of Dance, Alvetro Orthodontics and Readmore’s Hallmark in Piqua for a discounted price of $12 for adults and $8 students. Join us after the Saturday Matinee to meet the character at THE SWAMP STOMP! Includes pictures with the cast, autographs, snacks and treats, and door prizes! Seperate tickets must be purchased in advance atSharon’s School of Dance by April 1. $7/person. Tickets at the door will be $15 for adults, and $10 for students. This entry was posted on March 23, 2016 by Stephen. It was filed under Shows . Sidney Dance Company is a youth, pre-professional non-profit that gives young dancers the opportunity to perform and become involved in community outreach.